Actual vegans insist on a lifestyle that eschews any kind of animal products—and that includes wearing them. Still, there’s something to be said about abiding by the spirit, if not the letter, of the law. Or, at the very least, not grossing out your fellow diners, whose anti-cruelty convictions might not be as transitory. Perhaps a perusal of People for the Ethical Treatment of Animals’ “How to Wear Vegan” website is in order? Here's the point, and there's Beyonc� missing it. After committing to a 22-day "completely vegan" diet with her husband, rap mogul Jay-Z, the pop megastar was spotted Friday wearing what appeared to be a fur-trimmed coat and suede shoes to lunch at an animal-free joint in Los Angeles. 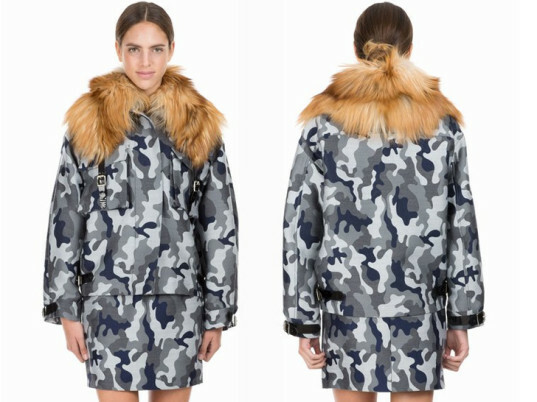 The Daily Mail called out the "Crazy in Love" singer for wearing a $5,000 Christopher Kane camouflage wool-blend parka�complete with a detachable "100 percent real fox fur collar"�to nosh at Native Foods, just four days into the couple's so-called "plant-based...spiritual and physical cleanse."